Jane Glover Interview with Bruce Duffie . . . . . . Powerful and talented women are not rare in The Windy City. 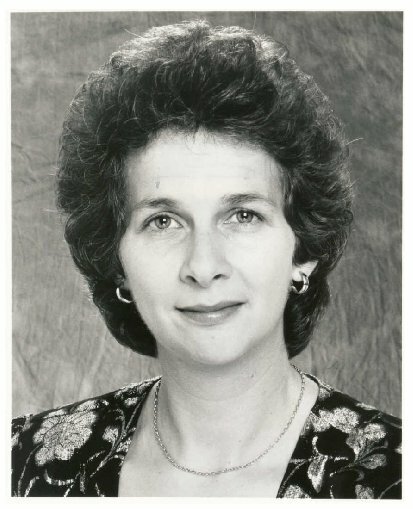 Our resident opera company has been run by Mary Garden (1919-20), Carol Fox (1954-80) and Ardis Krainik (1981-97). [See my Interview with Ardis Krainik.] 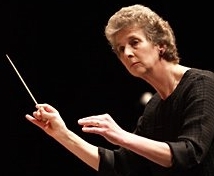 Our symphony chorus was founded by Margaret Hillis in 1957, and she also conducted the Chicago Symphony on many occasions both at home and on tour, as well as being Music Director of the Elgin Symphony Orchestra for several seasons. [See my Interview with Margaret Hillis.] 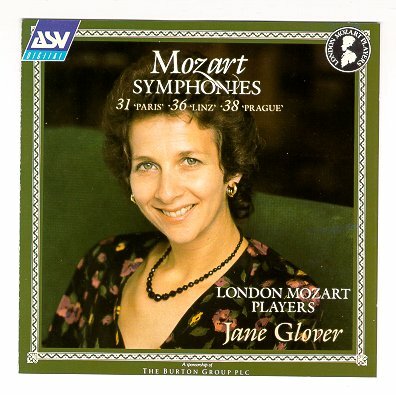 Having noted all this about others, it comes as no surprise that after displaying her musicianship with the Chicago Opera Theater and Music of the Baroque, Jane Glover was asked to be Music Director of the nationally-known early-music ensemble in 2002. Glover has a well-deserved reputation as a conductor of early music and Mozart, and has been heard in major cities and far-flung corners for many years. She has also made numerous recordings and been heard on radio and television at frequent intervals. For details on her career, and many more photos, visit her website. For now, suffice it to say that Glover is always in demand around the globe, and we are lucky to have her on a regular basis. 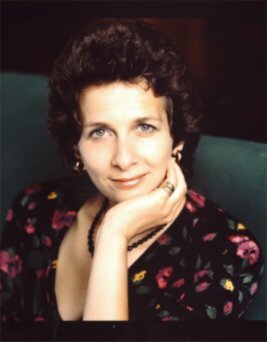 In 2000, the Chicago Opera Theater was embarking on a series of Baroque operas, and Glover was asked to conduct them with her usual flair and authenticity. She graciously agreed to meet me for a brief chat after a rehearsal of Monteverdi’s Orfeo. We settled into a small, cramped office that was used as the box office on performance nights, and where piped-in background music was available for the workers . . . . .
Bruce Duffie: We’re in a room where there might be a little thumpy music at some point. Was there a time when Monteverdi was considered “thumpy music”? Jane Glover: I think there is a tremendous amount of rhythmic energy in Monteverdi and indeed there is plenty in Orfeo. He was happy to have parties and to express vivaciousness and energy in music as the next guy. The wonderful thing about him though, in all his music — his madrigals and his solo stuff — is that he can turn the emotions on a nanosecond. You can be roaring with laughter one minute and pouring with tears the next. It’s like all great composers, they can just turn that knife in your gut without you realizing it. Suddenly you realize the feeling has turned from the comic mask to the tragic mask. BD: Was he doing this on purpose to manipulate you? JG: I don’t think it was necessarily to manipulate you, but he was certainly doing it to move you. I suppose, in a sense, he was manipulating his audience, but it wasn’t calculated as if there’s something not quite right about it. I think he knew about this. Human emotions and passions were so important to him that he was really grasping onto both the performers and the audience, and trying to match the two together. BD: It seems today there is purposeful manipulation. I was just wondering how far back in music history this goes. JG: Oh I think it goes all the way to when people begin to tell stories of how people treat each other. That’s the important thing, how real people treat each other. They’re not talking about mythological things and how people turn into trees; we’re talking about real people having real emotions and real hearts. That’s what mattered to Monteverdi. Then you know you are inevitably taking your audience with you. BD: So an opera from 400 years ago does speak to us today as we’re coming into a new millennium. JG: Absolutely. There’s a famous letter of Monteverdi from, I think, 1616, in which speaks precisely about this. He was asked to set some pastoral text of trees and rivers and personify these in music. He wrote back a furious letter back saying, “How can I possibly represent trees in music since trees don’t sing? What interests me is the human being; how they respond and how their passions are expressed.” He said exactly that in a letter, I’m not making it up. BD: Do you rely on letters for his ideas or do you rely just on what music is left? JG: Both. There are a lot of letters of Monteverdi and they are very revealing. Like all musicians Monteverdi complained about money an awful lot of the time, and in fact some of his letters are really quite boring in that sense. We don’t care much now whether he was paid that much more or less. You wish these letters had more of that sort of wonderful revelation about what really mattered to him. It’s the same way with Mozart, really. All composers letters are interesting ultimately, and what fascinates me about Mozart is that he lived through one of the most turbulent times — politically and socially — in the history of Europe, and there is absolutely no mention of it at all; no mention of the collapse of the ancien régime, or all that was going on in Europe at the time which was so intoxicating to people like Beethoven and the slightly younger generation. BD: So he was just concerned with the emotions he was putting into his music. JG: Absolutely; it’s extraordinary. Of course he’s concerned with his friends and family and his own bodily requirements in some considerable way. Yet, although he didn’t seem to be aware, really, of the outside world and the how it was going to affect the society, he was very much a part of. You feel that this extraordinary genius has, from the age of eight, actually understood (as Monteverdi does) this whole sort of business of how people react in extraordinary situations. 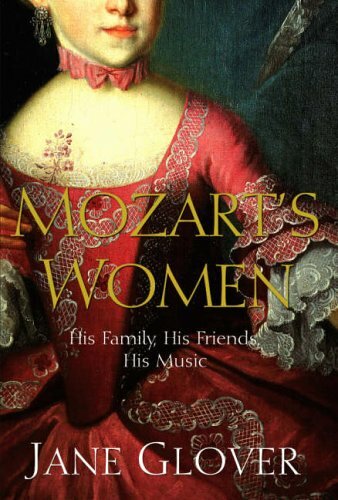 Mozart was a natural writer and dealt with these incredibly lofty things — like duty and responsibility and patronage and the love of a father for his daughter. How can you expect an eight-year-old to understand? But he jolly well does! Of course in his older years, he knows sublimely and painfully how people treat each other in the DaPonte operas, which is so devastatingly true. I think the great opera composers, of whom Monteverdi and Mozart are two very similar equals, have that absolute innate understanding of human passion. That, combined with their extraordinary ability to express it with the additional ingredient of music to the poetry, actually produces a total which is greater than the sum of the parts. BD: Were they revealing too much perhaps of themselves in their music? JG: Curiously, in Monteverdi’s case, I think he is quite an autobiographical composer. For instance you know when he had troubled times and his people died, it’s often reflected in the kind of music he writes. Mozart, on the other hand, was not at all an autobiographical composer. The great shining example of that, which we know from his letters, was when he was at his most desperate in terms of not being employed and being desperately in debt and begging people to lend him money and give him a smidgen of work. In six weeks in that dreadful black summer, he wrote Symponies 39, 40 and 41 with apparently effortless brilliance. You would never know from those symphonies that here was a man on the brink of despair. BD: Should we know that when we go into the concert hall or the opera house? JG: Not necessarily, no. He wouldn’t want you to know that, really. We know that from the very private letters that he wrote to the chap who lent him money from time to time, but he always wanted to show the sunny side of himself, the brilliant side of himself. Monteverdi, I think, was more . . . I was going to say honest, but that’s wrong. He was an extraordinarily introverted person who could actually not get over that business of being able to hide what happened to him. I mean here in Orfeo, the rotten things haven’t happened to him yet, but nonetheless he understands what does happen and how people do react when there’s bad news. BD: In your career you conduct opera, concerts, choral work — you seem to do it all. How do you select which engagements you will accept and which you may, perhaps, turn aside? 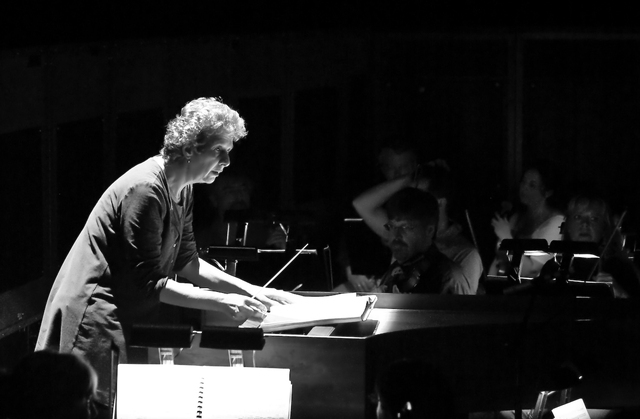 JG: Ideally I like a balance between opera and concert work, and between original instruments and modern instruments. I’m very lucky that I do get asked to do a great variety of things and it’s sort of looked after itself, really. I can’t say I’m turning down a huge amount, but the lovely thing is I am in a position to say, “Oh yes I’d love to do that,” and, “I’d rather do this than do that.” In an ideal year there would be a balance between stuff in the theatre and stuff in the concert hall, and also stuff away and stuff at home; that’s also quite important. BD: I was going to ask if you left enough time for home life. JG: My home is in London, and I spend a lot of time in this great country of yours which I love very much. I’ve also spent a lot of time in Australia this year, which is also a great country and I love it very much, but it makes it hard to get home for weekends. BD: You really do globe-hop! JG: I’m not complaining. I’m having the time of my life, really, and I know that. I go to fabulous places and do wonderful music with exciting and interesting and very dear colleagues, and I think my cup is very full in that sense. I’m a lucky person. BD: Of course when you conduct in Europe it’s very similar to America or Australia, but you also conduct in China. JG: I have conducted there. It was a great challenge; fascinating and rewarding. It brings with it, as it does in Finland and Hungary, the challenge of working with people whose language you don’t understand at all. Of course in Finland and Hungary they do have enough languages that one can speak if one can get by. But in China, it’s one of the few times that I worked through an interpreter and I didn’t like it all. For a start you never really know whether what you’re saying is accurately being translated or not. You might say to a musician, “Be careful that that’s not flat,” and it comes out, “Be careful, that’s an apartment.” Obviously there’s all these sorts of huge possibilities for a lack of comprehension. BD: You couldn’t talk just in music? JG: In the end, I found that you do away with your interpreter more and more. The international language of music, the Italian language of music is very much understood by most musicians all over the world. You can demonstrate by singing or in other ways, but it is a challenge and in general things take a teeny but longer. BD: You didn’t find it off-putting? JG: I found it very challenging. I adopted some kind of modus operandi. BD: But they responded to you? JG: Absolutely they did; very rewarding it was, too. BD: Did you do anything with traditional Chinese instruments, or only with western instruments? JG: Actually only with western instruments, but on another occasion, when I was touring the far east with the London Mozart players in 1991, we did go to Taipei, and there we were asked by the local promoter to do Mozart’s Flute Concerto with traditional Chinese flutes. JG: Well, it wasn’t that great. For a start, the chap who played the flute was absolutely brilliant. When I say the flute, it wasn’t one flute; he had to play three because the tessitura of Mozart’s flute required three Chinese instruments; but he was so dexterous in putting one down and continuing the same phrase on another instrument. It was a fascinating experience, of course, but ultimately I don’t believe we did anyone a service, least of all Mozart. Having said that, my own experience of listening to Chinese instruments, I think the sounds are absolutely ravishing. I remember the first time I heard some of the erhus – their string instruments – it was incredibly plaintive, totally individual sounds; you are immediately transported into another world. Also their harmonic system is different from ours. I’m so fascinated with musicians from not only China but also Japan and Korea – they understand our Western music so well and perform our music so well, and we barely begin to understand theirs. I think that’s very humbling for us. BD: You give most of your performances in the theatre but you also make a number of recordings. Do you conduct differently for the microphone than you do for the live audience? JG: One would like to think not, and indeed one of the real challenges of the recording studio is to be aware of the audience that you can’t see. I think audiences contribute to performance much more than they probably ever realize. As a performer myself, I love live performances. I’m at home performing live, but when you’re in a recording studio you have all the endeavor and none of the reward in the sense that you get nothing back. All you have is that wretched red light and that wretched clock which keeps ticking, and you know you’ve got to get it done by 5:30 that afternoon. It’s terribly hard to lose yourself in the music to such an extent that you could shape it and build the cathedral that you have in front of you — which is, after all, what we’re doing with a piece of music — but at the same time making sure that all the bricks fit perfectly and that all the grouting is done. And all of the time, as I say, that clock is ticking, and time is expensive in recording sessions. That’s very hard for me and it’s also hard for the players. Then you do start putting an odd brick there and an odd brick there and it gets even harder. Let’s just patch from this bar to that bar, and so on. BD: Is there no sense of satisfaction at the end that you know it’s all there someplace and can be assembled? JG: Yes, and then you really have to trust your producer of course. BD: Is the producer trustworthy? JG: Oh sure. I don’t think I’ve ever worked with a deaf one. You need somebody who not only has a good pair of ears but has a good pair of hands. I’m using the old fashioned measurement, now, when it really was cutting and pasting, but these days it’s all done digitally. They’ve really got to be good at that as well as knowing with their ears. It’s so terribly important that you get the sound in the box that you’re hearing at the studio. Sometimes, on radio things, you get a producer who says that sounds right and you say well that doesn’t sound right to me and you go and listen and they found something that actually doesn’t match up at all to what you want. So you think, OK let’s start again; let’s try and find out what we’re all doing here, and then we’re working on the same pitch. BD: Basically, though, you’re pleased with the recordings that are out? JG: [Hesitating] Ugh! [Both laugh] I always hate listening to my own recordings. When the rough cut comes of any new recording I’ve done, I always ask for it on cassette rather than on CD because I’ll play it in the car. There you have so much extraneous noise you can get the overall picture without hearing all the cracks — which you can sort out afterwards. But it’s terribly important to get the overall feel of it. Then you listen with very, very detailed ears. A recording, after all, is not forever. Because it’s a permanent recording, it implies that this is how I feel this piece goes, when in fact it’s only a snapshot, it’s only how I feel it goes now. There are countless examples where people have recorded pieces more than once and of course they develop and they change. What Karl Böhm did in 1956 is quite different from what he did in 1966 and so on. The whole thing of performing practice evolves. Music evolves all the time. It’s not just something like a cathedral that you build and stays there forever. It does go on changing with the light and changing with the seasons and I think we have to respond to that. I think one of the things that was really fascinating about the 20th century to a large extent was that the recording industry led to differences in performing practice. People would hear a recording and then they’d do what they heard somebody else do. But also the whole thing about original instruments, which informed so much the way we thought about early music — not just music of the 17th century, but music of the 18th and indeed music of the 19th century. We all learned from that and then you think, “OK let’s record Beethoven again in a new light. Let’s look again at Mozart.” And the whole thing continues to evolve in a very fascinating way. That’s why it’s important for us to keep in mind, too, that once you’ve recorded your Mozart 40, that is not it, but in 10 years time you’ll do it again other things will have been learned. BD: I assume then it’d be impossible either in the theatre or on record to sometime get it all right. JG: If we thought that, there would be no other mountain to climb. A man’s reach should exceed his grasp or what’s a heaven for. BD: I see, but you always strive for it. JG: Yes, of course we do, of course we do. The fascinating thing about particularly great music — and I come back to Mozart again, because I have a huge involvement with him; I must’ve performed the 40th Symphony or Symphony No. 29 in A so many times that I probably can’t count, or Handel’s Messiah which I’ve done certainly over 50 times (I did count that once) — and although we all know it backwards, it is never anything less than a challenge. It is such glorious music that every time you find something new. You know that somewhere in that audience is someone who’s never heard it before, and you do it for them, and in the course of that you find something you’ve never thought of before. It’s a bit like working through the streets of Venice — which is somewhere I happen to know very well because I lived there for awhile when I was doing research into Monteverdi and Cavalli. Everyday you see something you’ve never seen before and it’s the same with familiar music. Once you think, “Oh I know how this goes,” I think you shouldn’t perform it again. If you ever find yourself thinking, “Oh please not another…,” just don’t program it. Once it’s routine for you the audience will think it’s routine. Music should never be routine it must always have that feeling of the first performance. BD: I would assume that if you say don’t perform it again, still if you come back to it in 10 years you’ll find it fresh. BD: We’re kind of dancing around it, so let me ask the real easy question: What’s the purpose of music? JG: The purpose of music, like the purpose of art, the purpose of culture, it is something that is going to transform and illuminate and irradiate the hum-drum struggle of real life. That’s a quick answer off the top of my head, but we get very involved in the hard task of making it from birth to death with people that we love and people for whom we’re responsible — and other people for whom we should be responsible — and certain things help. Beauty in any form helps, I think, whether it’s a glorious view or whether it’s a great meal or whether it’s a novel by Jane Austen or whether it’s a symphony by Beethoven. These things enrich and enhance our lives and show us what we can do. BD: Are you conscious of the audience that’s behind you each time? BD: Does it make a difference if it’s a festival audience where they’re paying more attention than a typical subscription audience where it’s business people who’ve been beating their brains out all day? JG: Oh goodness yes, you can always tell that. I’ll tell you an audience story. I’m sure you’re aware of the BBC Proms in the Royal Albert Hall in London, this amazing music festival that happens every summer. I did my first Prom in 1985 with the London Mozart players who were then my orchestra, and it was pre-tty sca-ry. It’s one of those really scary first nights in one’s life. You look back on it and think, “My God, I was a nervous wreck.” It was live on radio and it was also on television; it was a huge thing. We began with the Schubert Symphony No. 5, which starts with nothing. I forget which colleague said that the beginning of Schubert’s Fifth Symphony is a transition from nothing to the first subject. I was sitting in my dressing room before the concert and Robert, the Comptroller of the Proms came in to wish me good luck. He said, “Just remember, let the audience settle before you start.” I thought that was a really helpful piece of advice because the thing about the proms is that the arena is huge. It can seat 5,000 people. There are people sitting all around the sides, but in the arena itself people are standing. It is amazing; people standing to hear these concerts. They aren’t comfortably seated. There’s an extra energy in the air. So I went out and I took my bow, and there was lovely applause. I turn round and instantly the place was pin-drop silent. Robert’s advice was actually quite wrong! It was not them I had to wait for, it was me! I had to wait for me to settle before I could actually start. The proms audience for me is the best audience in the world. I just love playing the Proms. They’re just great and they give you everything at the end. But you’re absolutely right about corporate audiences sometimes. BD: Is it perhaps even more special to get an audience that you know is kind of half asleep, and by the end realize that you’ve gotten through to them? JG: If you can do that, of course it’s wonderful. There are so many hazards nowadays in audiences. It used to be the coughers, then suddenly it was the wristwatches and now it’s the cell phones. It’s just appalling. I was conducting a performance of the Magic Flute in Miami a couple of years ago and five mobile phones went off during the course of the performance. People not only let them wring they answered them and had conversations, I couldn’t believe it. BD: “Hey, Tamino! It’s for you!” [Both laugh] Some producer is going to use that on stage at some point. JG: Oh yes, I’m sure, if they haven’t already. BD: Those are the pitfalls of being a conductor. What advice do you have for young conductors just starting out? JG: I do get asked by young conductors things like, “How do I start?” or, “What do I do?” There are two ways of learning how to be a conductor. One is by watching people you really, really admire, the other is by doing it. JG: Not necessarily. I was very lucky in the early part of my career to work with and for Bernard Haitink and adjacent to my very good friend Simon Rattle. Now those are two pretty damn good role models. Very, very different but both absolutely compelling, and I learned a tremendous amount from both of them. There are countless others — including Andrew Davis whom I worked with in my early days at Glyndebourne — from whom you learned all the time. But of course there is no substitute of that very physical thing of feeling music in your hands. Apparently you can go to classes and be taught how to beat five to the bar and how to stand and how your body should be balanced. I’ve never been to any of those. Like many British conductors I came through a different route — through the university and then into just doing it. There’s no substitute for feeling the music, even if it just means you’re leading a madrigal group or a brass group or string friends or a glee club, anything. Get some chums together and neglect no opportunity if you think you’re going to do it. Actually find out how it feels. Don’t just stand in front of a mirror with recordings. That won’t get you anywhere. You can start small but you have to conduct something. You have to discover not just the clarity of your gesture, you have to discover the eloquence of your gesture so you not only tell them where to play, but how to play. BD: Are you always right? JG: Not always, no. That’s why you need to practice! That’s why I tell people to just do it. You’ll find out for yourself what works and what doesn’t. BD: Are there are times when you come to a new orchestra or a new soloist and you discover something from them? JG: Oh yes, you learn all the time. All the time you learn. Sometimes out of the mouths of babes... You’ll work with one of the many teenage kids who are so brilliant on the circuit now, and they will reveal something. You can go to an orchestra, even in the middle of nowhere, and they’ll tell you something and give you an insight. It’s great. You never stop learning. I hope, perhaps, to impart something back as well. BD: Now that you’ve learned from these others, is it pleasing to you that there are conductors now looking to you and learning from you? JG: I hope they are. In a curious way, although I’ve now been conducting professionally for 25 years, I still somehow feel that I’m just climbing a ladder. BD: You’re the new kid on the block? JG: Sort of. You’re only ever as good as your last performance, therefore the next one might as well be your first. Of course you do get more confident, in a sense. You have discovered what works and what doesn’t work, but you’re still always trying to climb that thing’s way. JG: Yeah, forever climbing up climbing way. JG: I’m very lucky with where I am at this point in time. I am in Chicago doing Monteverdi and the next thing I do is Benjamin Britten and Haydn at the BBC, and then it’s Barber of Seville. I have a very rich and varied diet and you can’t complain about that. BD: I wanted to touch on something very, very briefly because we’re getting out of the era to talk about it. Do you feel you’re a role model to make sure other women know that they can be conductors, too? JG: Well, if I am I’m very happy to be that. There are many women on the circuit now. When I began, 25 years ago, there weren’t so many. BD: So you’ve been part of the transition? JG: I hope so, too. This interview was recorded in the box office of the Ruth Page Auditorium in Chicago on September 25, 2000. Portions were used on WNIB (along with musical examples) the following January. The transcription was made in 2008 and posted on this website in November of that year.